Date: May 17 2019, 6:30 p.m. Event is at Club Meade and open to ages sixteen and older; but those eighteen years of age and under must be accompanied by parent or guardian. 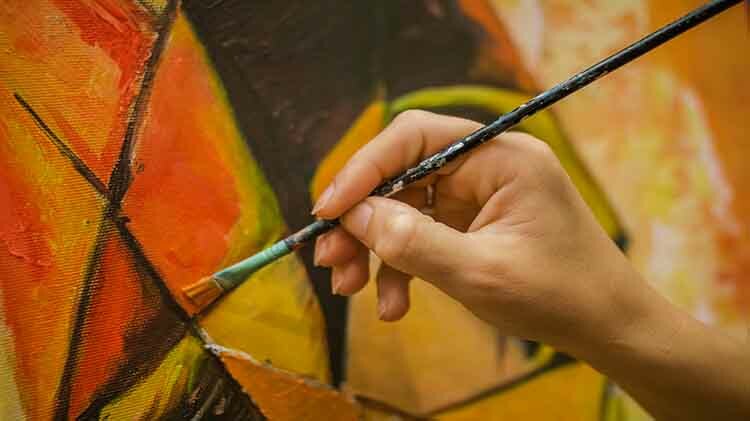 Instructor will offer step-by-step guidance to create an original piece of art. At the end of the evening, take home a one-of-a-kind masterpiece and perhaps a newfound talent. Cancellations: Contact us at +1(301)677-7809 at least 48 hours in advance if you are unable to attend. A refund or a credit to use at the next class will be issued. if minimum class size is not met. $40 - per person which includes a 16” x 20” canvas, paint, apron, and two beverages including wine, beer, soda, and water. Other beverages and snacks are available for purchase! Register at the Arts & Crafts Center, 6530 York Avenue. Payment due at the time of registration. Early registration is encouraged. Groups of five people or more may reserve space. Registrations by credit card are also accepted by phone at +1(301)677-7809.